As a hunter you know that your ability to hit a target is only as good as the rifle and the optics allow you to be. Many shooters swear on getting expensive brand scopes for their rifles believing that cheap scopes can’t be good. And it’s clear, a scope that costs you less than a hundred bucks can’t be using the same highest quality materials and designs as a scope that costs you above five or seven hundred dollars. That a pretty obvious fact. Yet, how good, or how much worse, can a cheap scope be? Is a scope like the CVLIFE 6-24x50 Hunting rifle scope simply a piece of gear that is better left at home (or in the trash)? Let’s have a closer look. Looking at the technical specs, you’ll be surprised that you get a scope with a 6-24 magnification and a 50 mm objective that is low in price. Yet, you do and surprisingly, it’s not bad at all. Click here now to get pricing and availability on Amazon! The CVLIFE 6-24x50mm hunting riflescope is designed as a long-range optics. The magnification of 6-24x supports this and the 50 mm objective lens is large enough to let a lot of light penetrate the scope for clear targeting. The tube is black coated aluminum. It’s fog, water and shock proof even though probably not to the same extent as some of the more costly competitors are. You get coated glass to allow for the maximum amount of light to go through as well as prevent fogging in wet conditions. The glass itself is clear yet not of the top quality you get with the expensive scopes. However, in normal daylight you will be perfectly able to get a great image of your target. The reticle in this scope consists of traditional cross hairs that are illuminated in either green or red. The illumination can be switched off or gradually increase in brightness in overall 11 settings. The field of view at 100 yards is 28 feet. 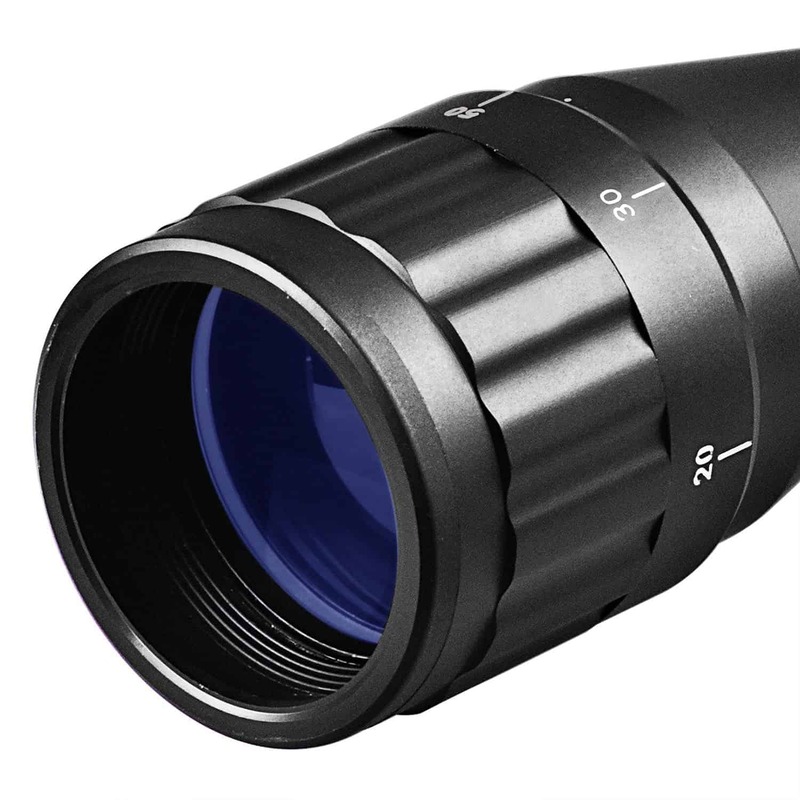 The objective diameter is 50 mm which is sufficient to get enough light even at the highest magnification levels. The turrets on the CVLIVE 6-24x50 are capped. The turrets feel solid and are easy to adjust. They hold zero well even after a lot of shots. The adjustments for windage and elevation are in 1/8 inch increments per click at 100 yards. The adjustment range is overall sufficient and as you’d expect. There’s no parallax adjustment. This scope does offer a lot of features and quality for the price. You get a solid 6-24x scope for long rage shooting and hunting. It’s built sturdy and offers all you can ask for in a scope. The glass quality is certainly not what you get in more expensive scopes but it’s probably better than what you’d expect it to be! The scope is easy to adjust and once you have sighted it, you’ll be able to consistently hit the target. The build is sturdy and the scope won’t let you down. The turrets are easy to adjust and capped. The only downsides are that the mounts that come with the scope are not the best and won’t fit all rifles. The manual that you receive is unfortunately also not great by any means. You’ll have to play with the scope to figure everything out. 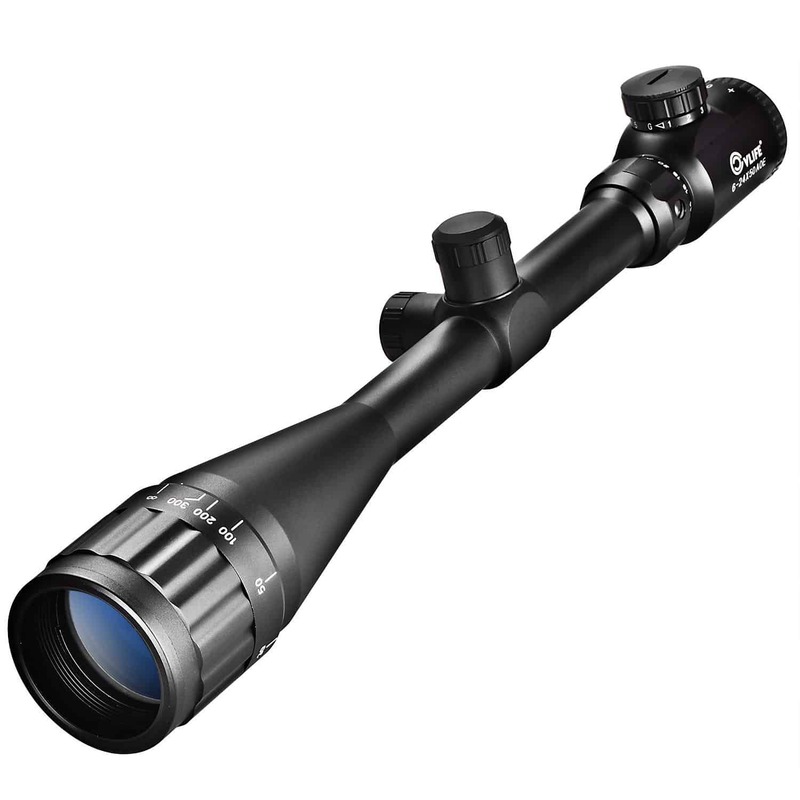 You will mostly be able to get the CVLIFE Hunting Rifle Scope 6x24-50 online. Click the button below to find current pricing and availability on Amazon.com! There’s a lot of people that have purchase this scope. That’s not surprising considering the low price point. The surprising element is that this scope has a ton of positive reviews that you can find online. Are there reviews that are not positive? Yes, there certainly are and they are to be expected at that price. Check out the reviews on Amazon here to see what people that purchased the scope have to say! 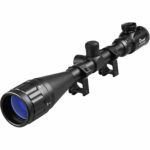 The CVLIFE 6x24-50mm Hunting Rifle Scope is overall a good scope for long-range hunting and shooting. It’s sturdy and solid. Adjustments are easy to do and you won’t have a problem to get a shot at your target once you have zero’ed the scope on your rifle. Yes, you can find scopes with better optics but you will definitely pay more. Usually a lot more. If you don’t want to spend a lot and don’t need the best optics for low-light conditions then this scope will do the trick.